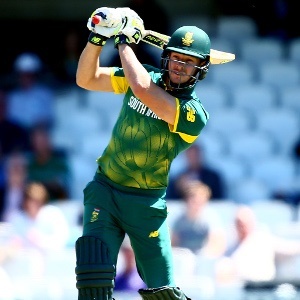 Cape Town - Proteas batsman David Miller is one of the first of five Icon Players to sign up to play in the inaugural United Arab Emirates (UAE) T20x tournament. Miller and West Indian all-rounder Andre Russell were unveiled as the first two star international players, who will each represent one of the five franchise teams during the tournament. The five-team UAE tournament, the first season of which will take place from December 19 this year to January 11, 2019, is being organised by the Emirates Cricket Board (ECB). The organisers are expecting a fair smattering of top-drawer international players, but the stated objective is to try and develop the game in the region. "I grew up in a country that is crazy about cricket and it meant there were a lot of opportunities to learn and develop as a player. What I love about UAE T20X is the legacy it aims to leave, not just in the UAE, especially among emerging and junior players from both ICC Test and Associate member countries," said Miller, as quoted by the Sport360. "It's something I am passionate about and want to be involved in." Miller's former team-mate AB de Villiers will play the role of ambassador for the UAE T20x tournament. We're feeling DOUBLE the excitement today because of these two ?? !